Tattooing is such a profession where you generally don’t expect a 20-odd year old to make heads turn, win international awards, and be counted one of the best around because it takes years to learn the art form, and then multiply those years before one masters it. But Eric Jason Dsouza is a shining example of the new-age tattoo artist, who throws that notion out of the building. 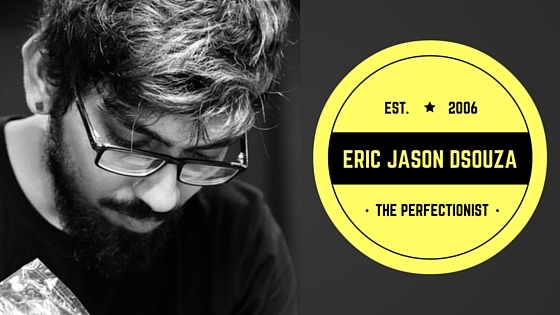 Merely 28 years old, Eric has already established himself as not just one of the best Indian tattoo artists, but also a role model for those who are redefining the popular idea of a tattoo artist. He is someone who will fumble in explaining how professionalism and artistry can go hand in hand in tattooing, but at the same time, he is one of those few artists who have mastered both those aspects. Recently, Shubham Nag of Tattoo Cultr caught up with Eric for a freewheeling interview, and here are the excerpts of it. How did tattooing happen to you? It happened by fluke. I never thought I would be tattooing in the first place. I always wanted to travel and explore the world. But then I realised that I had to seek where my passion was. I wanted to be happy with what I do, and I knew that a 9-5 job wouldn’t give me that happiness at the end of the day, like tattooing would. So, when did you get introduced to tattooing? I was in college, when I saw this guy with a tribal tattoo and I was immediately drawn to it. I was so intrigued by the way it was done. It was the first time that I had seen what a tattoo looked like, and things got weird in a way that I started touching the tattoo and the guy was like, What the hell are you doing? But I absolutely knew what to do after that. I started looking out for some apprenticeships, and… it’s been a crazy journey since then. I do not take in anyone and everyone. I do not teach everybody. How long has this journey been so far? I started out in 2006. I am in my tenth year now (grins). I never knew at that time that tattooing would become such a big industry. The competiton is vast, there’s good talent coming in all the time. I just hope it keeps growing the way it is right now, and someday we will be on the world map. In these ten years of tattooing, you must have come across thousands of canvases with thousands of stories. Can you pick any one, out of all them? There have been so many clients who have walked in with different kind of expectations from you, and there have been so many who have made me cry. Recently, I did a tattoo and I think I even explained it online. This client of mine; she wanted to get accessories of her late brother tattooed on her body. I never asked her what happened and how it happened, but instantly I knew what it meant to her. I had to give her the best artwork possible. After the tattoo was done, it took me a couple of hours to get back in the game, because I didn’t know what her reaction was after the tattoo was done. All I could see was that she was teary-eyed. I am just happy that she still has her brother with her. It’s still emotional, and that tattoo has been one of my best works till date. I don’t know if I will be able to do such justice to another tattoo again, but again, it all depends on the client walking in. 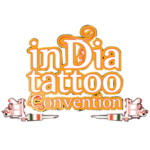 Indian tattooing has grown by leaps and bounds since 2006, i.e. when you started out. When and how do you think the game changed? I think the moment we were introduced to shows like Miami Ink and LA Ink is when people started becoming a little more open to get bigger work done. People actually giving themselves some time to think over what they want to get, because initially before that, we were just doing tribal tattoos and butterflies. Tribals and butterfly tattoos have done their time, and we have moved on from there. What do you think differentiates tattooing from other forms of art? There is a very thin line of difference between tattooing and other forms of art. What we do on canvas or paper is the same that we do on skin, but when your canvas is human skin, you have to research a little more and learn a little more because unlike paper, human skin will react, and as an artist, you have to study that really well. For that, you really need a mentor. It does not come naturally to you. It takes years to understand that. So, essentially there’s hardly any difference, but you need to be taught that difference that I am talking about. You run one of the most successful tattoo studios of the country, and work with a team of five more artists. What is your idea of teaching, or mentoring? I do not take in anyone and everyone. I do not teach everybody. The way I was given a chance when I had started out, I would similarly like to give someone else that chance too, but that can only happen once I meet them and get to understand what the person actually desires from tattooing at the end of the day. One thing that I always say is that you need to have that passion for art. If it’s just about the money, then you need to look somewhere else. Tribals and butterfly tattoos have done their time, and we have moved on from there. And why did you get into tattooing? I got into tattooing for my bread and butter. But it is only after I got into the profession that I understood why it is important to pay all the attention to the art, because it is only then that money, fame and everything else will follow. You should be sketching and practicing all the time, you should be open to criticism, and you should keep your mind open to learn from anybody and everybody, regardless of the fact whether they are artists or not. That is what will make you a good artist, a good human being, and eventually a good tattoo artist. Coming to the more fun side of things now, we’ll do a rapid fire. Ready? Here we go: 1. Nikko Hurtado or Victor Portugal? Black and grey or colour? If given a lifetime’s opportunity, which tattoo artist would you like to get a tattoo from? I don’t have to think twice before answering that question. I have saved up my torso, my back and the day I do get a tattoo from him, I will be in tears. And that person is none other than Jeff Gogue. The wonder that he is, people look up to him, artists look up to him, and I want to be able to be like him one day. He is the only person I can think of who can cover the majority of my body. I don’t know man, he is… he is BABAJI! If given a chance, would Eric tattoo inside a studio or go up the mountains, pitch a tent and then get started? Sooo… good question! I have tattooed in a studio and all places you can think of, but tattooing on top of the mountains is still a dream. Only Filip Leu can do that, I guess. You actually have to be insane to do that. If you are tattooing on top of a mountain, you have to make sure you don’t have any responsibilities. You have to make sure that no one’s dependent on you. Obviously, it’s a dream to do something like that, but not in this life. My dream was to have a studio in Bandra, and if you look at this studio, it has a very Goa feel to it. I don’t think I am moving from here for a long time to come. Time for the mandatory last question: One advice to any young artist getting into professional tattooing. If you want to be a part of this industry, you have to make sure that you help other people grow. You CANNOT be selfish. Looking at the current scenario, everything is messed up. No two artists will come together to talk about art. They will talk about other artists, which needs to be stopped immediately. I know this is going to be a more controversial stand, but I would advise younger artists to not talk about other artists, and what others have achieved or are doing wrong. Look for yourself, that is why you enter the industry. Keep the politics aside, and focus on your art. Make sure you create good art because that is the only thing that is going to take you ahead. 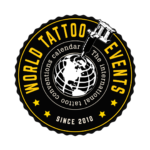 Next Post Next post: Have you got your #HarleysTattooParlour invites from Suicide Squad yet? 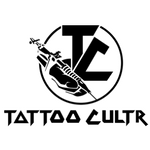 Nice one,specially the last part of this blog is very TRUE,said by Eric about the current situation of tattoo artist in India,the respect for him is on top.all the best.